21 Best Beach Hacks! | Don't head to the beach without them! I am in love with the beach. IN LOVE. I didn’t get to see the ocean for the first time until I was in my mid-twenties, and now I feel like I need to make up for lost time by going as often as possible. As a beach newbie, there were so many things that NO ONE told me about the beach. Like how sand gets everywhere, for the rest of your life. I still have sand in my car from vacation a few months ago, and in a few months I’m going again. Momentos from the trip I guess? 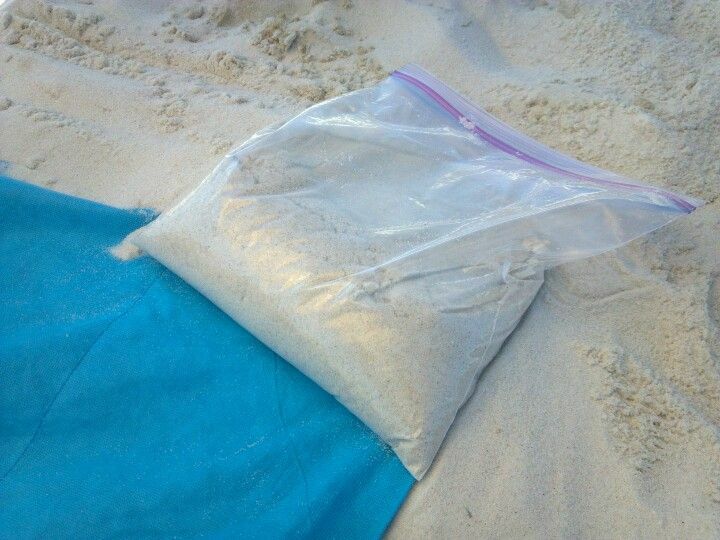 Here are 21 of the best beach hacks I wish someone would have told me! Utilize them, pin them for later, and share them with a friend, be they beach newbie or veteran! The best sunscreen I ever used actually came in the form of an off brand (Equate—sold at Walmart) low grade sunscreen plus darkener. It’s supposed to shield the sun slightly while helping your skin to get gradually darker, naturally, by using your time out in the sun. Well, I attempted this and it definitely didn’t work to make me darker, however, I sprayed it on once and was able to spend all day in the sun without getting even slightly burnt. My friend was a little upset that her time had been wasted in the sun but I was jumping for joy that I wasn’t baked like a potato. You can find it HERE. Sometimes the hardest part about going to the beach, is picking the perfect spot at the beach, crowded or not. Look for a spot next to people similar to you. Have kids? Park your stuff next to an open spot by a family. Just a couple on vacation? Park your stuff next to other couples. Every single time, we have found it makes our experience so much easier. We’ve even (easily) gained friends from the people we were next to and it came in handy a few times for them and us. I hate crowded, public beaches. There’s no shells, the sand is packed down hard, and there’s tons of people everywhere. If you’re like me, avoid the “main beaches.” I promise you, pretty much all the beaches are very similar to each other. However, the main beaches will always be stuffed with people. This sometimes can make it hard to enjoy yourself or see/find neat stuff. We always hit up a local for advice or do a Google search to see what other beaches are nearby but not frequented by all the tourists. We often have a much better experience and get to see neater things that haven’t been ruined by crowds of people. Oftentimes, parking near the beach is nearly impossible, especially if you’re going to one of the more popular beach areas. Many stores and establishments around the beach won’t let you park there unless you’re shopping. However, we have found that if you make a purchase, even a small one, you are permitted to park there to go to the beach. All it usually takes us is a polite demeanor, smile, jokes, and buying something. We often just buy bottles of water or something virtually inexpensive. Much cheaper than paying for parking and much easier than walking twelve miles to get to the beach. Taking toys to the beach, with kids or not, is really fun. However, having to carry things back and forth to the car/hotel can seriously be daunting. We use our Radio Flyer wagon, and that thing works like a charm! You can hold kids, buckets of shells ( I cannot help myself but to pick them up), beach supplies, personal belongings etc. It rolled easily over the sand as well. This was also an easy way to hold our personal belongings while we were in the ocean. We didn’t have to worry about things getting wet if the tide came in, or them blowing away in the beach wind. I’m telling you, get wheels! I promise you, you don’t need as many things while on the beach as you think. It can really be overwhelming if you bring too much. You want to enjoy yourself, not pack up your entire house every time you go to and leave the beach. We brought too much the first time and it really put a damper on things. We’ve learned to keep everything down to either one bag or one tote. Makes things easy to carry and easy to pack up. Virtually no work involved. Plus, the more you bring to the beach, the more sand you bring home. Just think about that. The first time we went, we paid an arm and a leg (we still got a good deal for that place in particular) for our hotel room to be right on the beach. We found that we paid a lot of money for nothing. Now, don’t get me wrong, some places make it worth the money. However, more times than not, unless you’re renting a beach house, (which I suggest) getting a hotel as little as 5 miles away from the beach makes the cost about 50% less and your experience isn’t changed or lessened in the slightest. Plus, then you have more money to spend on exciting things while at, or around the beach! Have any other tips you’d like to add to our 21 Best Beach Hacks? Comment and share, so everyone can have the awesome info! Enjoy your trip to the beach, and remember, the sand will always be with you! If you liked this post, check out how we save when we vacation to Florida: How To Take a Florida Vacation on the Cheap! I love these tips. I’m hoping that the beach will become a more frequent part of our travel repertoire! We LOVE the beach! We hope you get to spend more time there too!! Thanks for reading!